Kieran Gallahue, chairman and chief executive officer of CareFusion, has nearly 20 years of strategic, operational and corporate management experience in the healthcare industry. 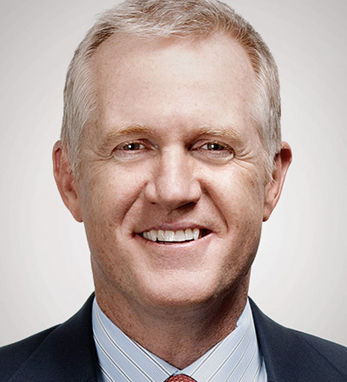 Previously, he served as president, CEO and a director of ResMed. Since 2007, Kieran has served on the board of Volcano Corp., a developer of products for interventional cardiology. He also serves on the executive committee of the board of the Advanced Medical Technology Association and has been a member of the Young Presidents Organization since 2002. Prior to joining ResMed, Kieran held various general management and functional roles at Nanogen, Instrumentation Laboratory, The Procter & Gamble Company and GE. He holds a BS in economics from Rutgers University and an MBA from Harvard Business School.